"Daiquiri, Mojito, Tequila Sunrise..." – The Chiringuito Shaker makes mixing cocktails a passion. 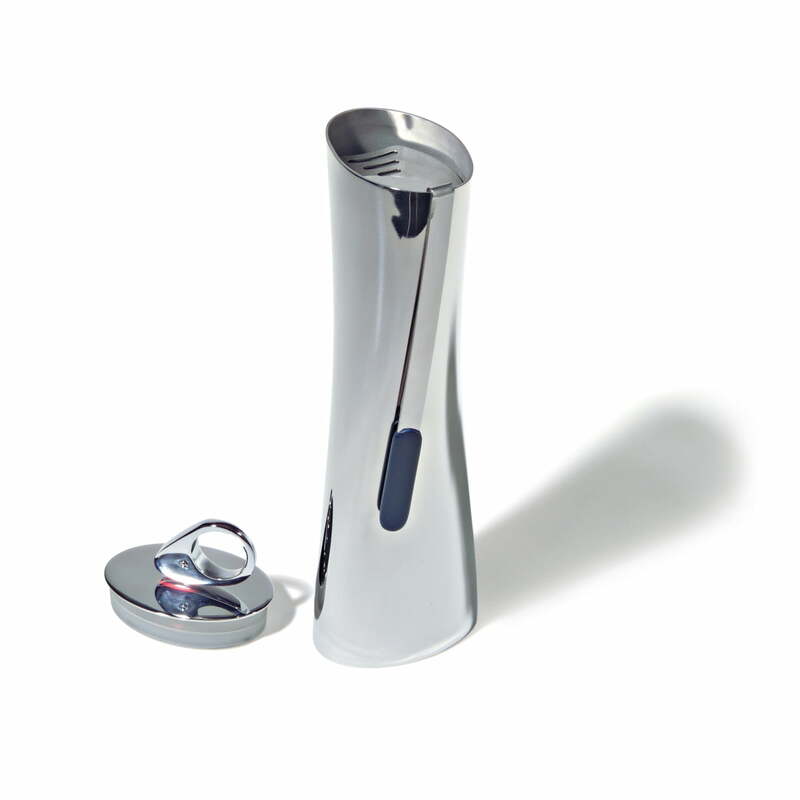 In 2004, internationally renowned designer Ron Arad designed the curved shaker for Italian company Alessi. The elegant design of the shaker follows the principle "form follows function" and it transmits the flow of liquids from the inside to the outside. 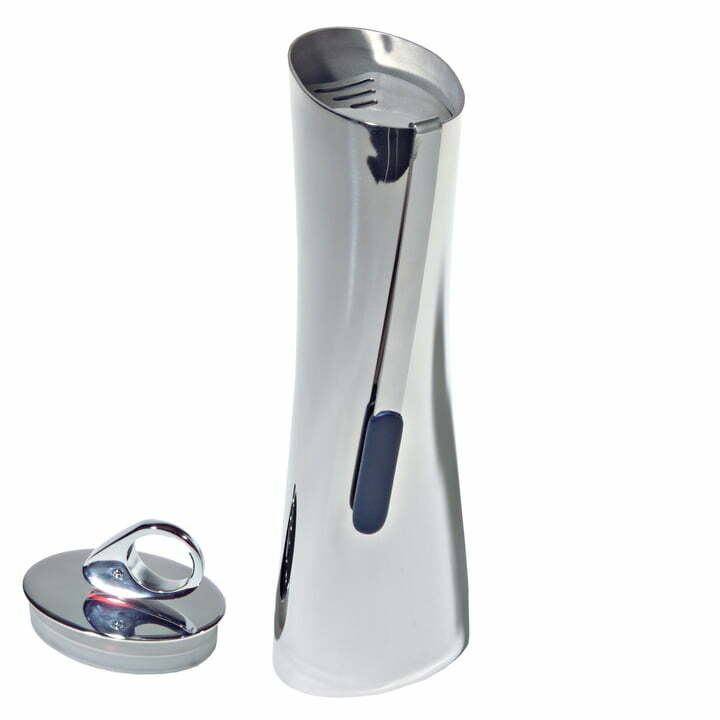 It has an integrated strainer that helps pouring liquid from the shaker into glasses and holds back ice cubes and pieces of fruit. In addition to the shaker, other products of the Chiringuito series by Ron Arad are available upon request, such as the stirrer "Chiringuito Twister" or the mixing glass "Chiringuito Mixer".